Architecture becomes visible and is experienced through light - and automation provides comfort and sustainability. 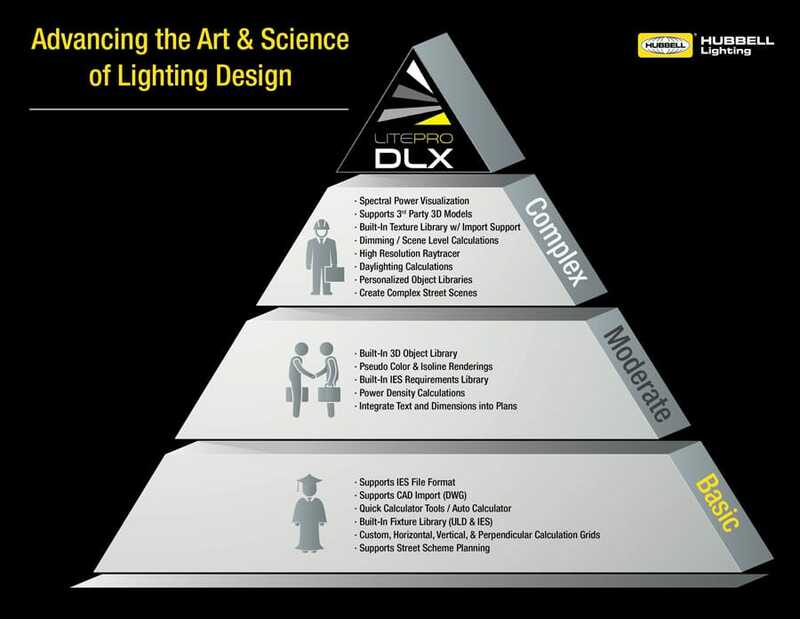 LitePro DLX not only makes professional lighting design simpler and accessible for everyone, but as a platform and tool it is a network for designers and manufacturers all over the world. LitePro DLX is powered by DIALux. DIALux was developed by DIAL GmbH out of Lüdenscheid, Germany. DIAL specializes in software development that allows for better architecture through lighting and automation systems. They are also responsible for LUMsearch, the luminaire search engine which helps lighting designers locate suitable luminaires for their designs.